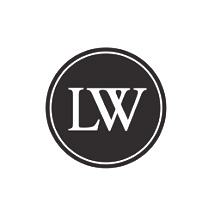 At Lincoln & Wenk, PLLC we believe clients hire lawyers rather than law firms. We believe that if an attorney provides quality representation, timely communication, and affordable rates, the clients will not only come, they'll come back. We believe clients want to choose their attorney, rather than having their attorney chosen for them. We believe clients are tired of hiring large law firms with bloated overhead. We believe in putting customer service back into the practice of law. We are a general practice law firm handling a variety of legal issues, including medical malpractice defense and other civil defense cases, divorce and family law, plaintiff personal injury and wrongful death claims not involving medical malpractice, business formations and transactions, wills and trusts, probate, DUI and misdemeanor criminal citations. Although newly formed, our attorneys have over sixteen years of legal experience and bring quite a breadth of knowledge with them. If you aren't sure whether we can handle your case, just ask. If we can't help you, we'll let you know and we'll refer you to someone who can. Our offices are proudly located in downtown Phoenix and in the growing west valley, where we can conveniently serve clients in Phoenix, Goodyear, Mesa, Tempe, Litchfield Park, Avondale, Scottsdale, Buckeye, Glendale, Peoria, El Mirage, Sun City, and Surprise. We pride ourselves on providing personal, professional, and affordable quality legal services. Please browse our site and if you have any questions give us a call or send an e-mail. We would love to be your law firm. Thank you for checking us out!